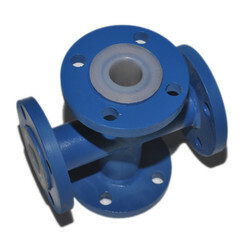 We offer PTFE Feed Pipes and Feed Pipes. The offered range is precisely engineered in line with the universally accepted norms & standards using superior grade stainless steel and other genuine components. 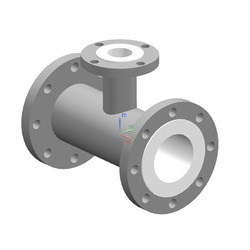 Owing to the qualitative fabrication, our range is widely appreciated by the clients for leakage proofing, dimensional accuracy, corrosion resistance and long functional life. 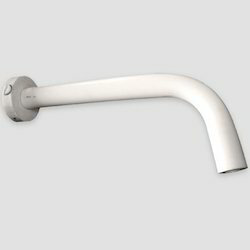 we have been able to provide the customers with a commendable assortment of PTFE Feed Pipes. The complete range is designed using superior grade raw material, hi-tech machines and sophisticated technologies. Widely used in earth moving machinery, automobiles and varied other industrial applications, the range is used for introducing into storage vessels. We have been able to provide the customers with a comprehensive assortment of Equal Cross. Precisely engineered at par with the global quality standards, the range comes handy for a plethora of industrial applications. With firm commitment to quality, we are offering a comprehensive range of top-notch quality Unequal Tee. The offered array of unequal tees is manufactured by our patrons using high-grade raw material, which is procured from the reliable vendors of the market. To meet the specific requirements of patrons, we also customize these tees as per their detailed specifications. DN DN1 L L1 CAT. REF.